Discover, buy, and sell locally-sourced food in your area. We're on a mission to make food more open and accessible. Want to know how we're going to do it? 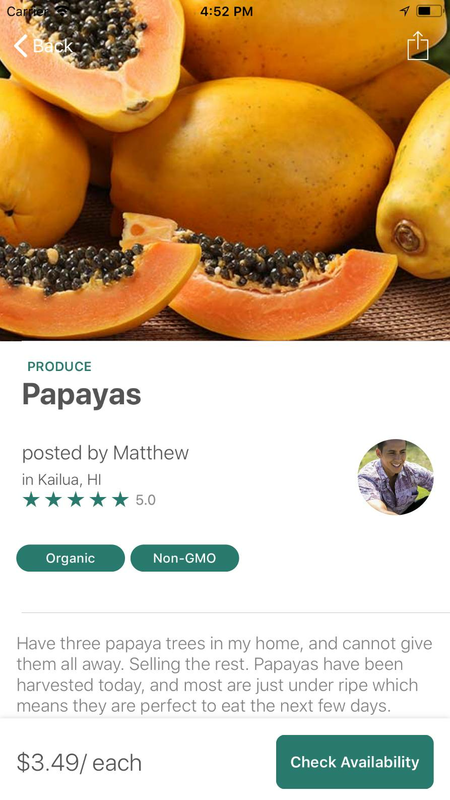 Easily find locally-sourced produce and food near you. Have any extra fruits and veggies at home? Growing food at home? Snap a photo and start selling. Find something you like? Purchase with a tap of a few buttons. We're a team of yoga-doing, comput3r hacking, organic food eating freaks. Maker. Advocate of open-source. Working towards building a distributed future. Having fun and helping build the world through my eyes. Are you a designer? Engineer? Founder of the first cold-pressed juice company in Hawaii. Impressed Juice. Spent 10+ years as a merchant marine learning about how food is transported globally. Web wizard. Early employee at Webflow. Focused on bringing truth to the masses. Air Force Veteran, worked at Apple for 10 years responsible for design and implementation of firmware on all computer products. What can I sell on Eats? Eats is an open platform. We don't discriminate against any types of foods. 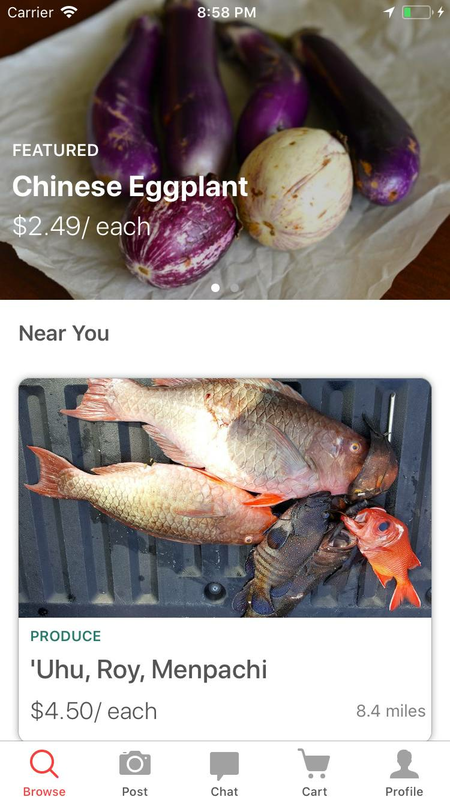 Pretty much anything food-related can be sold on Eats. Except snails. Because that's weird. This means produce grown in your yard, fish you've caught, or cattle you've raised. Currently, we're focused on encouraging people to sell produce (fruits, and vegetables) as this is the easiest way to bring value to the marketplace. We do our best to verify all of our sellers before allowing them to post on Eats. We require three things before you can start posting your delicious food on Eats. 1. Government Issued ID 2. Selfie (yep). 3. Verification with one social profile. Doing this ensures we can know exactly who you are before you start taking on the responsible role of feeding your community. If you have any ideas or suggestions about how we can better address these problems please get in touch with us. Do I have to pay to post on Eats? Nope. Posting on Eats is free and always will be. If you go through the extra process of verifying your profile. You can post as often as you want. Does Eats charge a service fee? Currently Eats does not charge a service fee to make purchases on the platform. Which means, the price you see is the price you pay. We're looking to build out a delivery network to make locally-sourced food even more accessible. These services would require you pay a small fee. Stay up to date about our latest achievements, news and more. © Copyright Eats, Inc. 2018. All Rights Reserved.